A makeshift shrine (far left) was set up Wednesday by friends of the victim at the pool where his body was discovered Tuesday. Friends of Jose Quiroz Marcial gathered around the swimming pool at the Mansion Inn in New Hope Wednesday to grieve his passing as they grimly awaited word from the Bucks County District Attorney on the cause of his death. 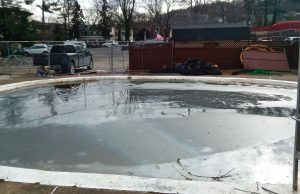 That determination finally arrived around 2 p.m. when the Bucks County District Attorney’s Office announced that his demise in the frozen waters had been ruled accidental. 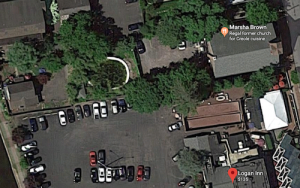 His lifeless, frozen body had been discovered Tuesday afternoon by a construction worker involved in the building of an addition to the adjacent Logan Inn. The abandoned swimming pool lies directly west of Marsha Brown restaurant on the Mansion Inn property off South Main Street. Marcial, 29, had worked as a cook at Lambertville Station Restaurant in Lambertville and at the GreenHouse Restaurant & Lounge in New Hope. When he went missing on Dec. 15, some friends thought he might have been detained by U.S. Immigrations and Customs Enforcement. 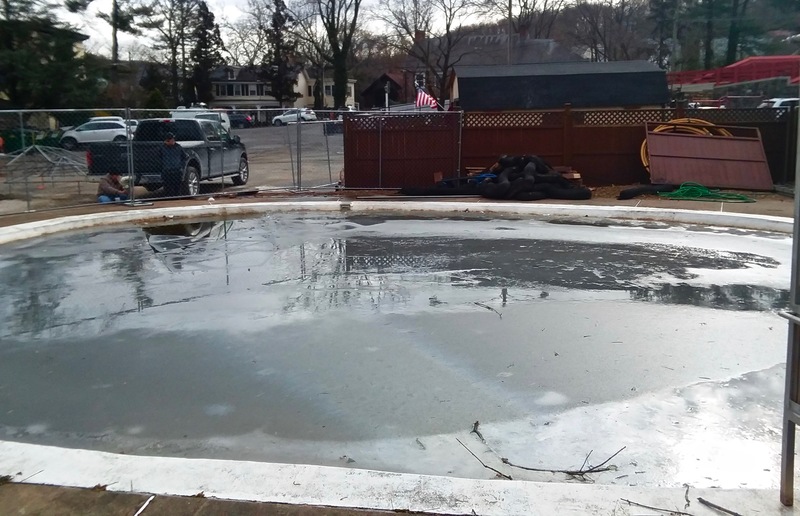 Members of the New Hope Eagle Fire Company assisted the Bucks County Coroner’s Office on Tuesday in extracting Marcial’s body from the ice and removing it from the pool. Following an autopsy, Marcial’s death was determined to be the result of an accidental drowning and hypothermia, according to the Bucks County DA. 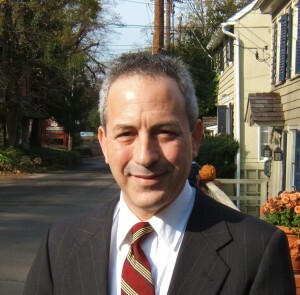 What is going on with these drownings in New Hope and Lambertville ??? I’ve lived in other river and seaside communities (with drinking bars) but never have heard of so many drownings. So many people now drowned in canal and now a pool. Time to investigate! One-hundred percent agree. Plus serious investigation into local/regional human trafficking operations is desperately needed by law enforcement officials along state & county roadways into patterns (daily and nightly) of unmarked white trailer vehicles passing through our area. Driving along the River is an easy way to avoid inspection stations at interstate borders & travel more easily under the radar from Philly to NYC via NJ. Troublesome to see continuously UNMARKED white tractor trailers driving northbound on Main Street in New Hope toward NJ/202 at VERY high speeds. Very eerie. Sohe just decided to take “a swim” in December? Accident with face messed up? Hiw did that happen? Sounds like a murder.The pool fenced in is some hiding spot. It was gated construction site. Reports say that his family did file a missing persons report. Did police drop the ball? Was there fear about retaliation by his attacker if he were reported missing? So many questions. I hope they find out more details. The ruling of “accident” just doesn’t add up. This young man had worked his way up in the restaurant business. So sad for his family. December 15th was a relatively warm night for December, 52° /47°. Also if this man was on his way home from work that pool would be very much out of his way. I think this requires a more comprehensive investigation. It seems like every time someone goes missing in our area they turn up in a body of water and an “accident” is quickly declared. I agree that more investigation is required. Evidently his face was smashed in, which would leave me to believe that someone beat him first, and perhaps threw him (while unconscious?) into the pool, where he then drowned. And it is also reported that a relative DID call in a missing persons report. Why was there no coverage of this in December? Very sad story. How did they determine it was an accident so quickly? He was discovered barely 24hrs ago. Charlie, have they acertained the approximate date of death? Good question, but no more details from the D.A. yet.